Bali is very famous for its beaches. Besides being used as a sun deck and watch the sunset, beaches in Bali are also often used as a means of water sports such as diving, snorkeling, or surfing. Bali has some of the best surfing locations in Indonesia. 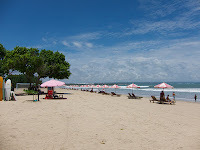 Kuta Beach is the most famous beaches in Bali. Almost all tourists who visited Bali would definitely visit this beach. 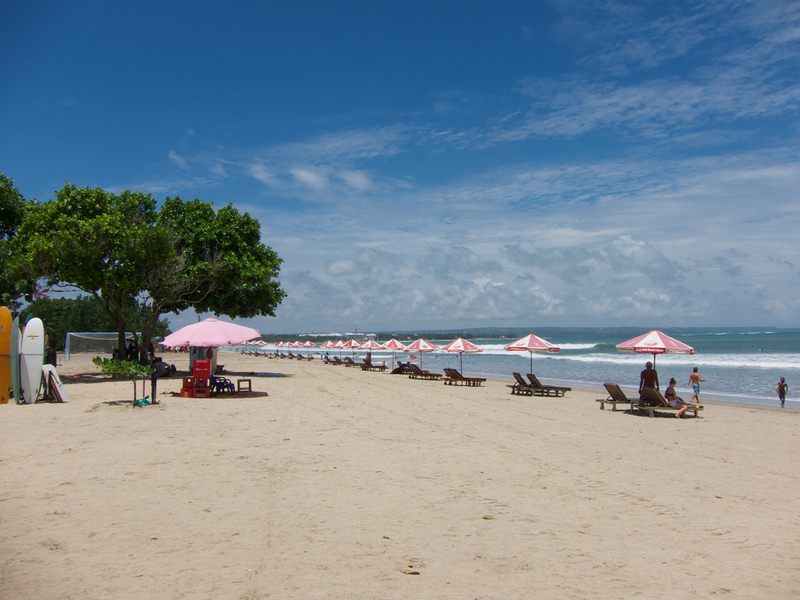 In addition to its scenic beauty sunset, Kuta beach is also popular because of big waves. So it's no wonder a lot of the surfers who take advantage of the waves on the shore to channel his hobby. Waves at Kuta Beach is relatively large because menhadap directly with the Indian Ocean. 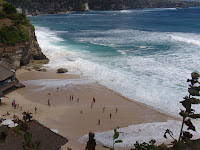 Another beach that is not less of the greatness of the waves is Uluwatu beach. This beach lies a bit hidden, due to go to the beach we had to walk through the steps that sizable length. Uluwatu beach is located not far from Dreamland Beach can be reached within 30 minutes drive from Denpasar City. Big waves at this beach because many coral stones. Dreamland Beach is located in the village of Pecatu. 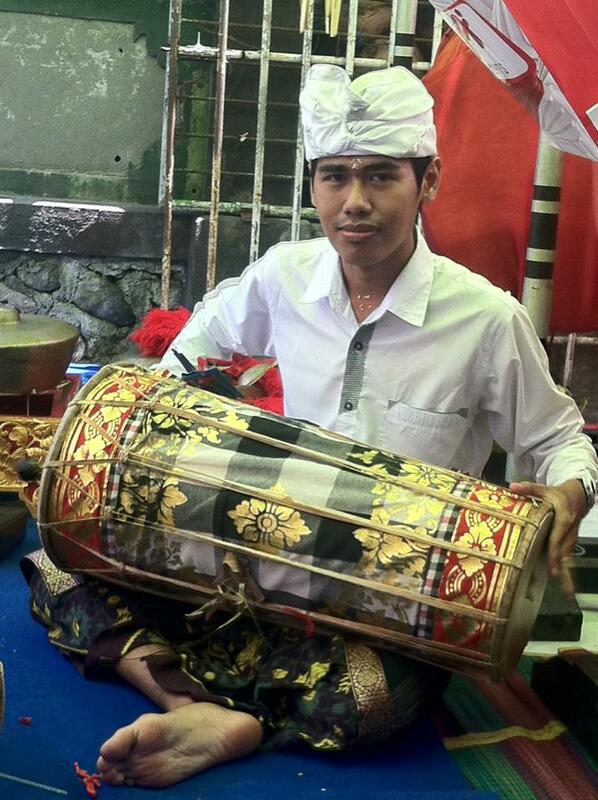 Are relatively close to the city of Denpasar and the direction of the statue pedestal. This beach is relatively quiet compared to Kuta beach, but for the beauty of not losing at all even nicer beaches tend to Dreamland because it tends to unspoiled beaches. In addition to having a very clean white sand, the beach is famous for its big waves, so many who use this beautiful beach for surfing. This beach is located at Ungasan village, Badung, Bali. This beach is not foreign to the local and foreign surfers, because it's coast with high waves and challenging. Wave height at the coast can reach a maximum point 12 feet or 4 meters. Waves that roll forming and tube current strength makes this beach is only suitable for surfers who have advanced. As well as Uluwatu beach, to get to the beach we had to pass through a narrow cavern natural staircase. But that does not mean anything once we get to this beach. Balangan beach is located in the white region Pecatu hills, the southern part of the island of Bali. 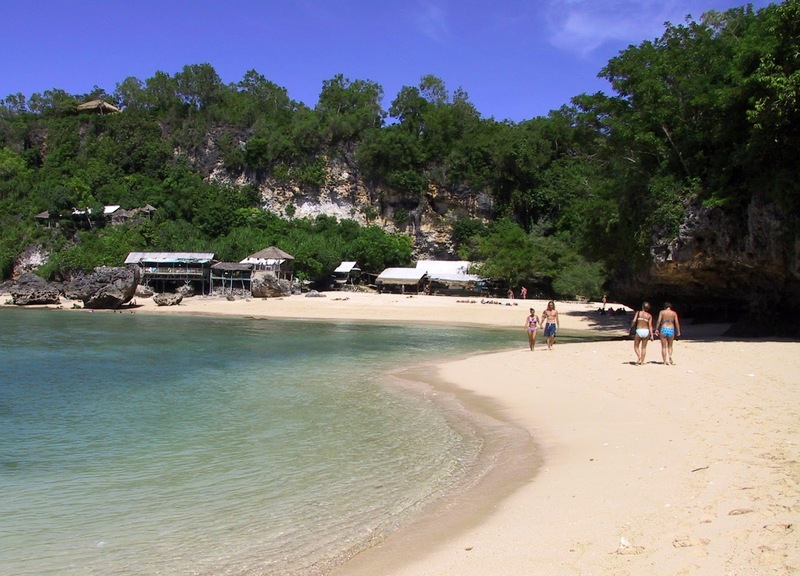 Balangan beach has white sand along the 200 meters. This beach is famous for its beauty sunsetnya and roll waves. For my friend who will surf this beach, please be careful with a touch of coral while stopping at the seaside. Best seasons for surfing at this beach is during the dry season because it makes the wind flowing from east to west to make a great and perfect waves for surfing.